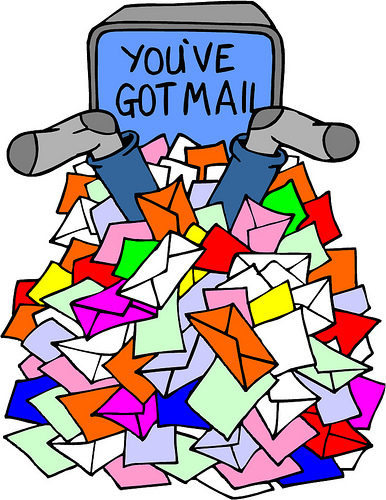 As virtual assistants we are often asked by our clients to manage their email inbox. If you are not managing your email communications by using some sort of system than you're doing things wrong. In this blog post, I am going to talk about some of the most widely used email management techniques and systems. Use the ones that make the most sense for you and your clients. One of the most popular is a technique called Inbox Zero, created by a guy named Merlin Mann. Click here to watch the famous Inbox Zero video. This video was recorded when Merlin was asked to speak at Google's Moutain View offices in California. It has since sparked a frenzy over this popular productivity technique. This is an awesome Gmail plugin. Boomerang allows you to send emails, with reminders for that email to boomerang back after a set period if it goes unanswered. The only drawback to this plugin is that the free version only allows for you to Boomerang 10 emails per month. That's not a lot so you would need to use their paid plugin. This might be a great suggestion to offer your clients who have a great deal of email communications. BaseCamp has a great feature that allows you to forward emails to the BaseCamp system by simply adding your BaseCamp email into the cc: field. This is invaluable as it allows you to keep everything organized per project so you'll never have to wonder where the last email communication was. Followup.cc is an AWESOME email solution that allows you to schedule your emails to be sent out at a later time, remind you when an email hasn't been opened or responded by setting a snooze button on any particular email. Lastly, do you need to answer every single email that comes in? Think about it, are some emails that you are managing for your clients - questions that are repeated over and over again? Wouldn't it make sense to create an FAQ's page on your clients' website? Or you could set up an auto-responder system for your client letting the customers know that they can expect to hear from you within a certain amount of time and in the meantime to check out the FAQ's page. Part of a larger team? If you are part of a larger team of virtual assistants or your client's business has a team you need to communicate with consider setting up an account with Yammer. There is nothing better than taking a conversation off of email and speaking with someone in real time to get instant feedback. Yammer is a private social network just for your company. In order to get an account with Yammer everyone must sign up with the same email address so this is only for groups working within the same company. What are you doing to manage e-mail chaos for your virtual assistant business and the business of your clients?